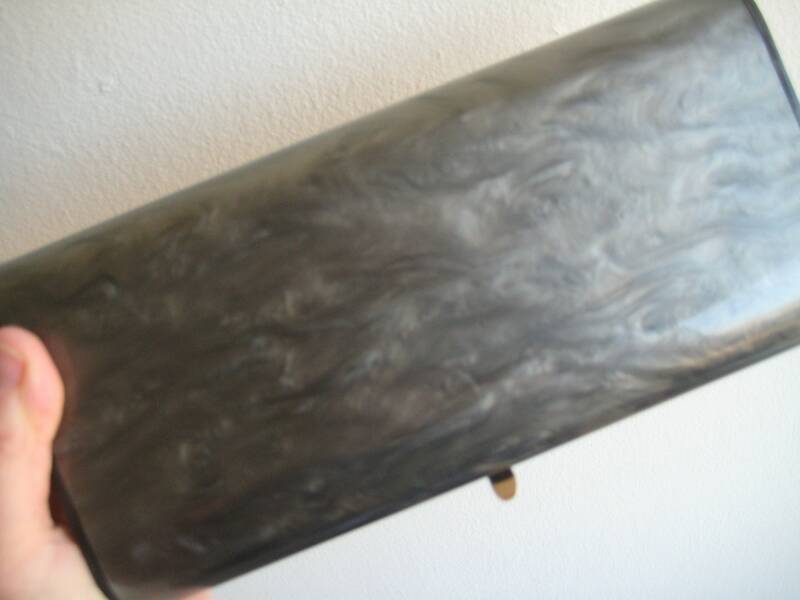 Vintage gray marble Lucite clutch. In great condition. 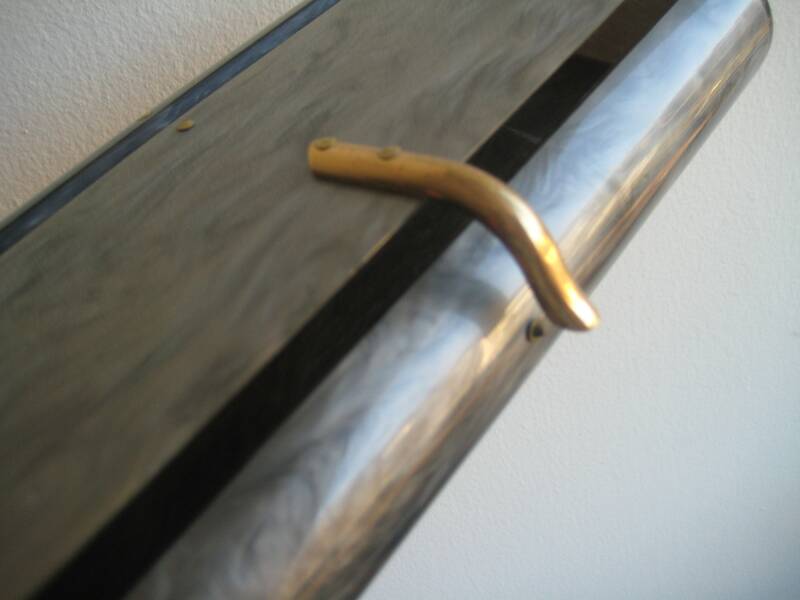 Gold tone trim and folder over catch. The lid is not completely flush on the ends but really have to look to notice and it closes securely. 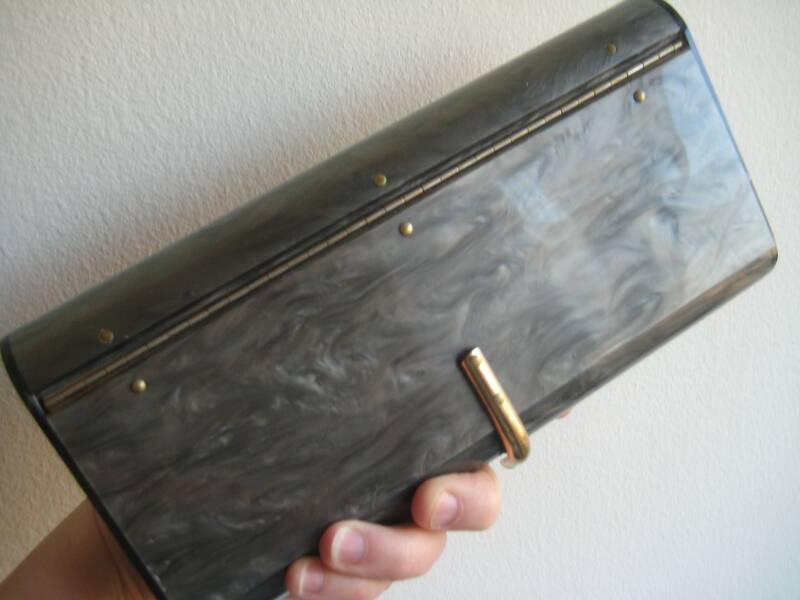 This clutch is very very likely a Wilardy but the tag is missing. The original mirror is included but not attached to the inside lid as is usual. 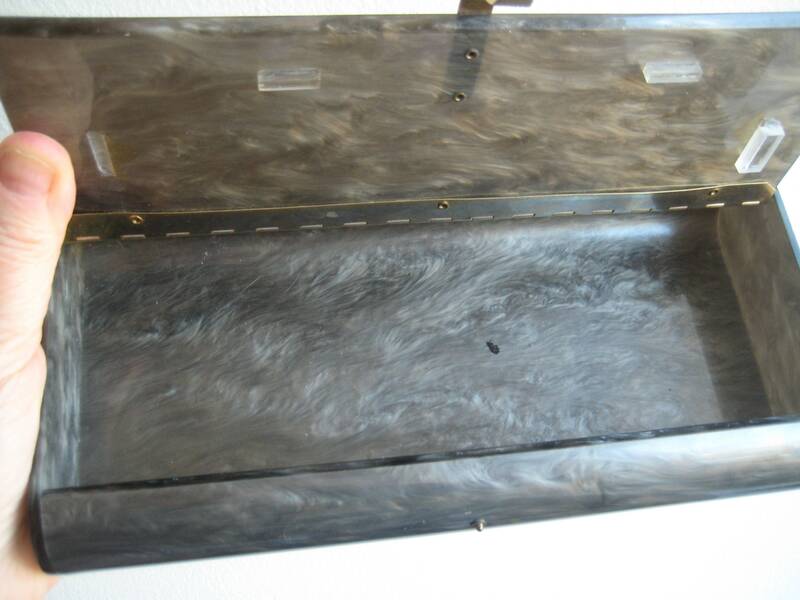 Truly a great vintage collectible clutch. Dimensions: 9 inches long x 4.5 inches wide x 1.5 inches tall.